Emergency Family Support Services offers assistance in meeting basic human needs for the Jewish community in Pinellas and Pasco counties. Program services also include: personal case management, emergency financial assistance, information and referral, and interest-free college loans (available through a partnership with the Jewish Educational Loan Fund (JELF)). Our goal is to support clients in need and help them increase their self-sufficiency. 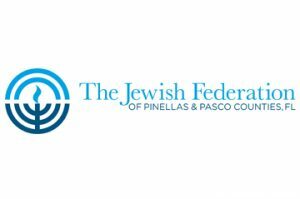 Limited financial assistance for utilities, housing, medical, dental, pharmacy and transportation, is supported via community-based Tzedakah funds from the Jewish Federation of Pinellas & Pasco Counties, Koved funds, and from individual and foundation donations. are the life-blood of JFS. Partnering with the Jewish Federation’s Volunteer Central, we encourage the local Jewish community to support our various volunteer projects. engages local youth to support the Food Pantry by conducting donation drives for food, household goods, toiletries and school supplies. These projects can be done by youth groups, religious and pre-schools, and B’nai Mitzvah students. Be creative and help collect food for the local community! providing critical, Kosher staples and is supplemented by a general food and supplies. in times of need, such as clothing, toiletries, household items, furniture, etc. This program is made possible in part through a grant by the Jewish Federation of Pinellas & Pasco Counties. We support the Federation’s principle of Klal Yisrael and the importance of our institution’s support of the Federation’s Annual Campaign through individual contributions, participation in fundraising events like Super Sunday, and general Federation advocacy, partnership, and promotion. Additional funding from the Schoenbaum Family Foundation, William & Sally Israel Food Pantry Endowment, and numerous individuals from the community. The Koved Fund is supported by Jewish Federation of Pinellas & Pasco Counties and the June B. Gelbart Foundation (for housing assistance). Private donations support the program and the Food Pantry.